“Abortion coercion is another unfortunate element of domestic violence,” said state Rep. Kurt Heise, R-Plymouth, who chairs the House Criminal Justice Committee. Heise’s committee heard testimony on House Bill 4787 on Tuedsay. Opponents of the bill told the panel that the measure is unenforceable because the term “coercion” is vague. “A boyfriend saying to a girlfriend who’s pregnant, ‘I really don’t want to have kids, maybe we should break up’ is one thing. It’s different than dragging her into an abortion clinic and forcing her to have an abortion,” said Shelli Weisberg with the ACLU of Michigan. Weisberg says the bill also reinforces a harmful narrative about women. “This rhetoric that women are weak and undecided and, of course, they should be protected from themselves,” she said. Heise says the committee will likely approve the bill next week. Coercing someone to have an abortion would carry tougher penalties under bills approved by the state Senate on Thursday. The crime could result in criminal penalties under Senate Bills 1156 and 1157. 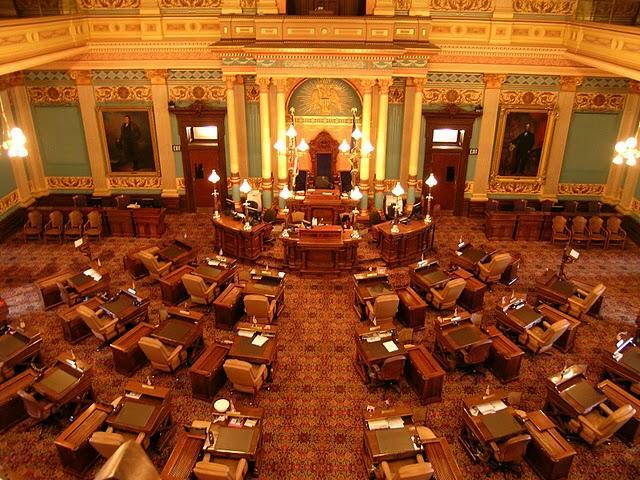 The Republican-led Michigan Senate has voted to make it a crime to coerce a woman to have an abortion against her will. The legislation would prohibit stalking or assaulting a pregnant woman or anyone else with the intent to force an abortion against her wishes. After learning that a woman does not want an abortion, a person also could not threaten to cut off legally required financial support or withdraw from a contract with her.